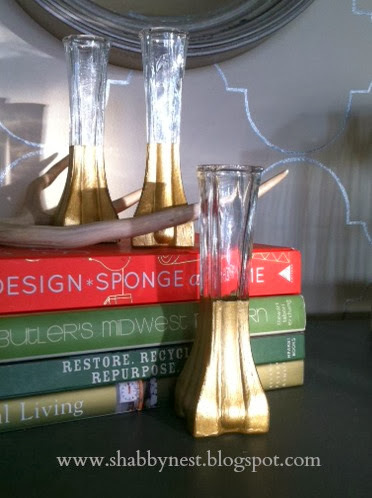 Continuing my infatuation with gold....today I want to share a super-simple gold-paint project. Not only do I have an infatuation with gold, but I also have an infatuation with the paint-dipped trend. So in this project, I combined the two. Here's the low-down on how to get this great look. 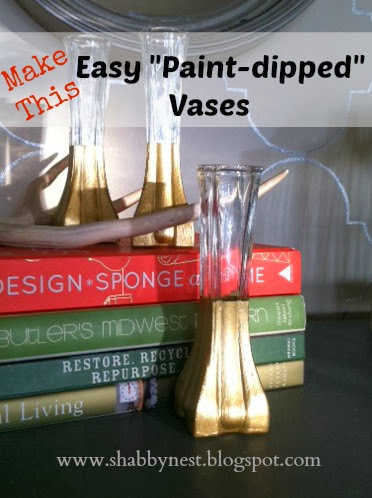 First, you'll need some bud vases, some metallic gold craft paint, painter's tape and a paint brush. 1. 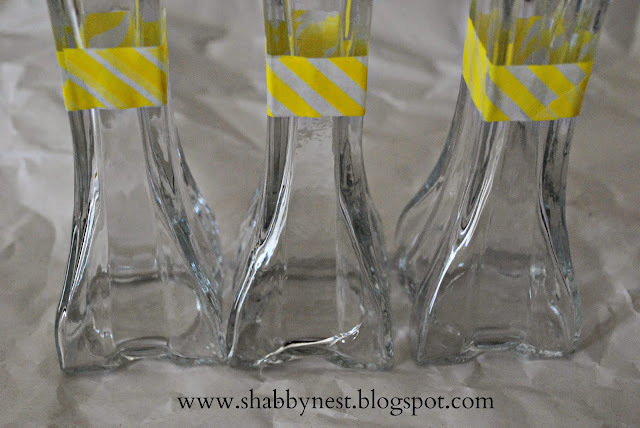 Tape off the vases at the level you would like the paint to end. (As you may notice from the photo...I did not use painter's tape. I couldn't find mine. But washi tape worked in a pinch. 2. 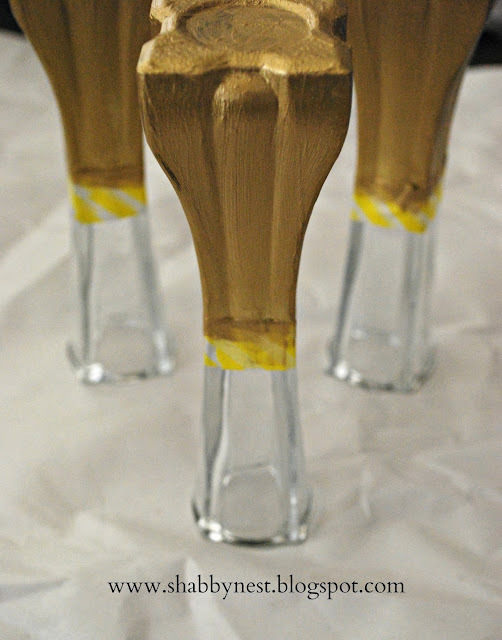 Then simply brush on several coats of paint...letting each one dry for a few minutes between. And when I say "several coats", I mean it. 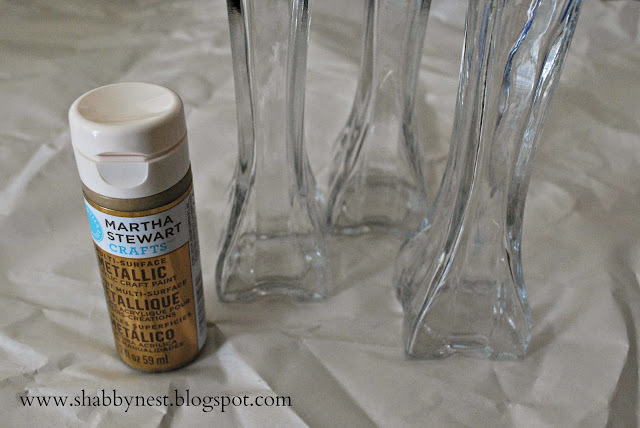 I think I used about ten coats on each vase. 3. Allow the vases to dry for several hours...or even days...depending on the paint you use. Very fun! I love it, a simple fix to really make those vases special! I love them! I'm really into gold right now too. I may have to give this a try.